A duplex property contains two rental units on one parcel of land, in one legal description and tax identification number. A duplex is a dwelling that has two separate apartments or living units. It is the smallest type of multi-family properties. Some properties that contain two homes on the same lot are considered duplexes. Duplex houses should not be confused with townhouses or semi-detached houses. Townhouses and semi-detached homes are sold as one single-family unit even though the homes are connected by at least one shared wall. In this case, each townhouse has its own parcel ID number and legal description. A duplex also should not be confused with the terms “twin house” or “gemini.” A twin house or Gemini refers to one unit with a duplex. A duplex foreclosure is a two family home that is being or has been repossessed by the lender because the owner has failed to make all of the mortgage payments. It's no uncommon to find these homes in foreclosure auctions. Duplex Modular Homes: A modular duplex is a frame-built home that has been built in an enclosed factory and to local building standards and contains two rental units. It is then shipped to the site and assembled. Duplex Manufactured Homes: A manufactured home is also built in a factory but according to HUD building standards. These types of homes have a steel undercarriage and are transported to the site as a pre-assembled structure. Mobile homes are considered a manufactured home. These can be built to have two rental units, but single family residences are more common. Duplex Apartment or Maisonette: In some areas apartments contain two or more stories with each rental unit. These are known as duplex apartments or maisonettes. These are usually sold as either a condominium unit or as part of a larger multi-family property. Multi-family properties include all the different types of properties which contain multiple rental units. They can be duplexes (2 units), triplexes (3 units), quad-plexes (4 units) or apartment buildings (5+ units). Multi-family foreclosures can be very profitable investments when you combine the price discounting and the income stream. This is also true of foreclosure duplexes. The main difference between these types of properties is in what is owned. Each condominium unit is owned separately. The same is true with a town house. An investor in a duplex, however, buys one property but owns a two family house. If you would like to invest in only one half of a duplex house, then you will need to find a property that has been turned into a townhouse, semi-detached home or condominium. Town houses and condos are sold on a per-unit basis. Each unit will have a separate parcel number and legal description. 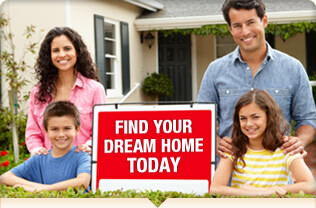 Usually these properties are also part of a home owners association and will charge dues. Duplex foreclosures, however, can only sell with both units and cannot be purchased separately. A duplex home may have two apartments or units but this property will have only one tax ID number and legal description. When Buying a Foreclosed Duplex, Can I Separate it into Condos? Yes, this is possible to take duplex properties for sale and split them into condominium units. You would first need to check with your local building and zoning department to see if this is allowed in your area. You would then need to have a real estate attorney prepare a condominium agreement outlining the bylaws, rules and regulations along with setting up a Home Owners Association. A survey would be needed to divide the building into two separate units. New legal descriptions and parcel numbers would need to be assigned. In most cases, it is not a cost effective option. It is rare that the resale value of each unit will exceed all of the costs to set up the condominium. Duplex houses for sale appeal to many investors because of the increased cash flow. If a foreclosed duplex can be bought for less than market value or at a discount, as in the case of buying duplex foreclosure properties, then the return on the investment is even higher. Some cheap duplexes will be in need of some repairs, improvements or remodeling. This can actually produce an even higher return for the investor. The equity in these types of foreclosed homes increase quickly and after remodeling, the owner can usually rent them at a higher price.